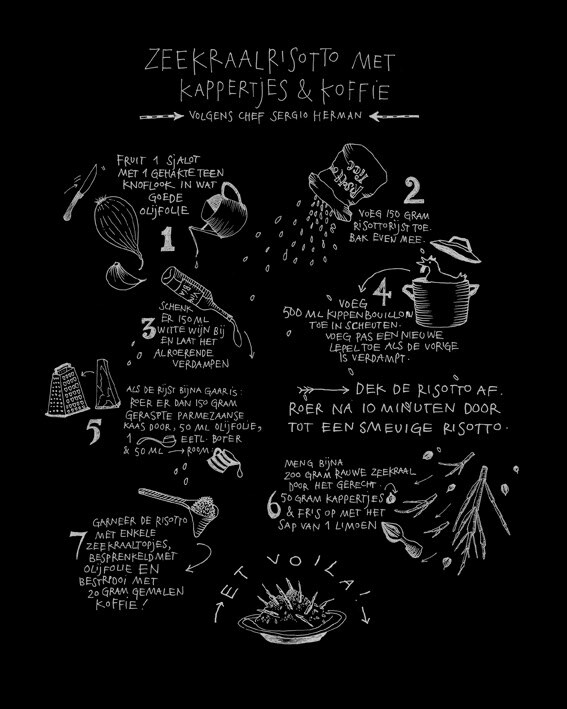 I just finished this recipe for a nice travel magazine called LIV‘. They were doing a story on top chef Sergio Herman and they kindly asked me to illustrate one of his recipes. I was really enjoyed to do so. But when I finished it, they had to call me that the Magazine had just been shut down. Such a shame, they were doing such a good job. I believe that they still work online, so go over there quick before it’s gone completely. 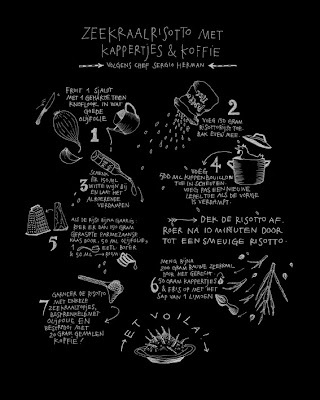 Anyway, this is the recipe, I quite liked it so I decided to share it with you anyway.